Conflict and cooperation are two dynamics that have shaped the political economy and international relations around the Black Sea since the early nineties. Despite the negative structural environment and the persistence of a high security dilemma, cooperative efforts among Black Sea actors (primarily state elites but increasingly non-state actors) have been advancing, even though slowly. Representing a new development in the study of contemporary regionalism, Panagiota Manoli examines the process of institutionalized subregional cooperation and casts new light on the factors influencing the reconfiguration of subregional structures in the region. Focusing on the primary initiative in the region, Black Sea Economic Cooperation (BSEC), Manoli traces how subregionalism has evolved since the early nineties and what has been driving and conditioning this process. 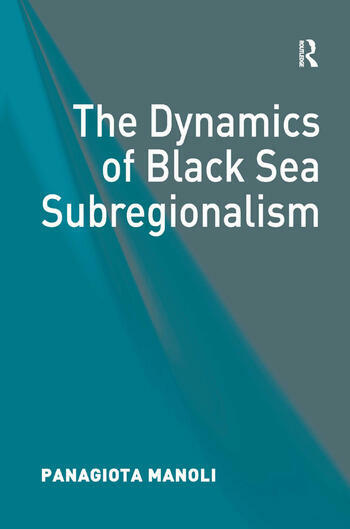 Questioning whether there is a definitive nature to subregionalism, Manoli then discusses Black Sea subregionalism within the European integration process, examining the impact of the European Union. Contributing to the conceptualization of the subregional phenomenon, this book should be read by scholars and policy-makers alike unclear on how local elements interface with extra-regional forces in the shaping of a subregion. Contents: Foreword, Sergiu Celac; Preface; Introduction; Subregionalism: some conceptual considerations; Institutions, processes and policies; The birth and evolution of the Black Sea economic cooperation; Joining hands across the sea: national preferences and leadership gap; Rivalry, conflict and potential cooperation; Reconfiguring subregionalism: the impact of the EU; Conclusion; Bibliography; Index. Panagiota Manoli is Lecturer of Political Economy of International Relations at the Department of Mediterranean Studies, University of the Aegean (Rhodes - Greece).